HGM Builders is committed to providing a service second to none. 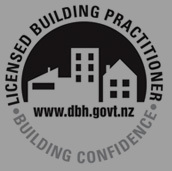 We aim to complete all aspects of the job to the highest standard which adheres to NZ Standards 3604 Building Code conditions & councils. HGM Builders is an owner operator company so we're on the job from start to finish. We are upfront, honest and recommend the best sub-trades, services, and advice to help with decision making during the entire building process. HGM Builders has had a range of experience in all aspects of the building trade from small jobs to the very large, all with an A+ attitude. Every job is important to us as it is our name that the client will pass on. This moto is what HGM Builders was founded on and it's one of the key ingredients that separates us from the rest.